In a race to save the relics of Venice, an obsessed architect becomes submerged in the darkest mysteries of the empire’s foundation. Architecture and artifacts merge with remembrances both real and imagined creating a labyrinth of physical and psychic disorientation. Spoleum pays homage to the many stories that have used Venice as a locale, including John Ruskin’s The Stones of Venice, Italo Calvino’s Invisible Cities, as well as, the films Don’t Look Now and Il Cassanova. 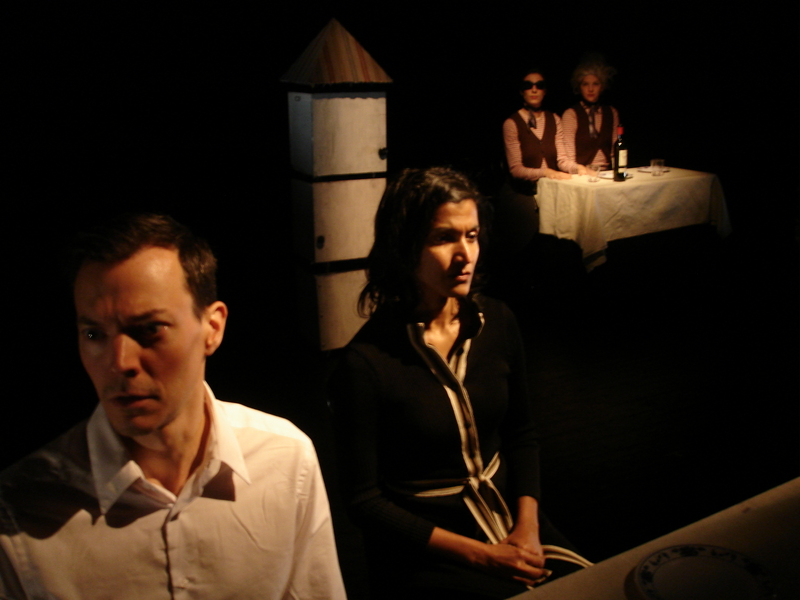 Spoleum was first performed in September 2006 at the Ontological-Hysteric Theatre. In November 2007 Woofnova joined the Performance Thanatology Research Society on a double bill at the Baltimore Theatre Project.